Ian is a leading neuro-pharmacologist with a distinguished 20-year career spanning academia, start-up enterprises in neuroscience drug discovery, and pharmaceutical companies where he led large drug discovery and development teams and global licensing and collaboration initiatives. Ian worked on the discovery and development of novel therapeutics for Parkinson’s disease, amyotrophic lateral sclerosis, Huntington’s disease, multiple sclerosis and age-related macular degeneration. Prior to joining Rewind Therapeutics, Ian was Vice President and Head of Discovery Research at Teva Pharmaceuticals in Pennsylvania, USA, where he led the delivery of new small molecule drugs for the firm’s speciality medicine pipeline. Previous roles include Senior Director of Discovery Biology at Knopp Biosciences LLC in Pittsburgh, and Senior Director at Merck Research Laboratories (West Chester, PA). Between 1988 and 2005, Ian was at the University of Pittsburgh School of Medicine, where he led teaching and research programs, edited leading journals, and established an internationally recognized research program in neurodegenerative disease. From 2000 and 2005, he was Tenured Professor and Vice Chair of the university’s Department of Pharmacology. Ian gained his PhD from the Department of Pharmacology and Experimental Therapeutics at Johns Hopkins University, Baltimore, and was a Postdoctoral Fellow at the University of Chicago Department of Pharmacological and Physiological Sciences. Jim Van heusden has served as member and executive chair of our board of directors since March 2018. Jim has more than 25 years’ experience in research and development and financial, business and operating management in the biotech industry. He is the managing director of bioskills bvba. Previously, Jim served as chief executive officer of Karolinska Development, a publicly listed Nordic life science investment fund, where he executed a strategic turnaround and repositioned the company to become a leading Nordic life science investment company. Jim worked as a partner at Gimv, a Belgian based investment company, from 2001 – 2013 focusing on investments in life sciences. Former investments and BoD representation include: Ablynx (acquired by Sanofi), ActoGeniX (acquired by Intrexon), Ambit Biosciences (acquired by Daiichi Sankyo), ChemoCentryx, CropDesign (acquired by BASF), Fovea Pharmaceuticals (acquired by Sanofi-Aventis), Hypnion (acquired by Eli Lilly), Movetis (acquired by Shire), Memory Pharmaceuticals (acquired by Hoffmann-La Roche), Multiplicom (acquired by Agilent Technologies), Nereus Pharmaceuticals (acquired by Triphase), Plexxikon (acquired by Daiichi Sankyo), Pronota (acquired by MyCartis), Prosensa (acquired by BioMarin), Santhera Pharmaceuticals, and Xanthus Pharmaceuticals (acquired by Antisoma). Jim holds BSc and MSc degrees in chemistry and biochemistry from the University of Antwerp and a PhD in molecular and cellular biology from the University of Maastricht. Stefaan Allemeersch has been at the Centre for Drug Design and Discovery (CD3) since 2011. He has more than 20 years of broad experience in business development, corporate finance and marketing within the life sciences industry. Before joining CD3, he was a Director Healthcare, Corporate Finance & Capital Markets and Corporate Banking at Fortis/BNP Paribas. Prior to that, he held several positions at GlaxoSmithKline Biologics in Strategic Marketing, Tender Business and Business Development. He also served as Vice President Business Development at Kiadis Pharma. He holds an M.Sc. in bioengineering from KU Leuven (Belgium) and a Masters of Management from Vlekho Brussels. David Devigne PhD, PharmD, combines a scientific and corporate finance background. David currently works as a Senior Investment Manager Life Sciences at PMV, and as a guest professor at Vlerick Business School & Ghent University. David is the author of high impact publications and serves as board member in several life sciences companies in addition to Rewind Therapeutics, including: ViroVet, Aphea.Bio, Oxypoint, & PharmaFluidics. His doctoral research focused on the relationship between international venture capital investors and their portfolio companies, a topic he continues to investigate. Prior to PMV he worked as a researcher at the Department of Corporate Finance at Vlerick Business School and Ghent University. Next to his doctoral research and teaching activities in corporate finance & financial analysis, he consulted on various projects for the Belgian ministry of economics, the European Commission and various small & large companies. David holds a PhD in Applied Economics (Vlerick Business School & Ghent University), a master degree in Economics and Business Administration (Ghent University), and a master degree in Pharmaceutical Sciences (Ghent University). Alicia Irurzun-Lafitte joined the M Ventures healthcare fund in 2014. Over the past years, she was instrumental in the closing of seven new investments in the Therapeutics space as well as several refinancing in the US and Europe. Alicia was also involved in the creation and built-up of Merck Serono Spin-offs. She currently serves on the Board of Rewind Therapeutics as Director and Ribometrix and iOnctura as Observer. Prior to ventures, Alicia started her career in global business development at Merck Serono SA, Geneva. During her time in business development she closed multiple early stage transactions and was involved in strategic corporate development initiatives across therapeutics areas. Alicia holds a MSc from Leiden University in Biopharmaceutical Sciences. Alicia lives in Boston. Marcus joined the Boehringer Ingelheim corporate Venture Fund in 2014. Over the last years, he has been involved in several investments of the fund. He served as board member of Rigontec GmbH in Bonn and Munich, which was sold to MSD in July 2018. In addition to Rewind Therapeutics he currently is on the Boards of Aelin Therapeutics in Leuven (Belgium) and eTheRNA Therapeutics in Niel (Belgium). In 2006 Marcus joined the department R&D Project management where he was responsible for leading project teams from preclinical development until clinical phase II studies in the area of oncology, urology, metabolism and CNS diseases. Several peer reviewed publications together with academic partners emphasize his strong scientific background. During a three-year period he and his team brought several projects from a preclinical development state until end of clinical phase I. From 2009 to 2011 he moved back to Ingelheim and joined the newly founded collaborative research department where he was responsible for international strategic research collaborations of Boehringer Ingelheim with external partners. In 2011 he moved in the department of Research Networking where he was responsible for external resourcing and external innovation in the area of cardiometabolic, CNS and respiratory research. Marcus studied Biology with focus on Genetics and Biochemistry in Münster and Mainz. He joined Boehringer Ingelheim in 1996 in the area of neurodegenerative diseases research. Stefan Lohmer; PhD, is the President, Chief Executive Officer and Founder of Axxam. Since its inception in 2001, he has positioned Axxam as an innovator for the identification of bioactive small molecules applying high throughput screening for membrane proteins like GPCRs, Transporters and Ion Channels. Dr. Lohmer brings more than 25 years of experience in the field of small molecule drug discovery. Prior to founding Axxam, he held various positions with increasing seniority at Bayer Pharmaceuticals, culminating in the World Wide Head of Genomics. Dr. Lohmer holds a PhD in Molecular Biology and Genetics from the Albertus Magnus University Koeln, Germany. He is an inventor on 18 patents and has authored 20 peer-reviewed publications. Dr. Lohmer has also an observer seat at the Board in Acousia Therapeutics, a company dedicated for generating treatment opportunities in Hearing Loss. Catherine Lubetzki leads a research group in the Brain and Spinal cord Institute (ICM) within the Salpetriere campus, together with Prof Bruno Stankoff. The aim of this translational research team is to develop strategies to prevent neurodegeneration and reduce disability progression in Multiple Sclerosis patients, by combining basic sciences of neuroglial cells, identification of pro-myelinating candidates and imaging of myelin loss and repair. She is or has been involved in several committees and funding boards: member of ECTRIMS (European congress on multiple sclerosis) executive committee, past-president of the scientific committee of ARSEP (French multiple sclerosis association for research), member of the International Progressive MS Alliance Scientific Steering Committee. She is elected chair for the next Gordon Research Conference in myelin. She acts as vice president of Sorbonne University Foundation. Her clinical activity is mainly dedicated to the management of multiple sclerosis patients, the department of Neurology being the most important clinical center for multiple sclerosis in France, with a very large active file and a very active clinical research activity. Wolfgang Brück is a highly respected clinician-scientist whose work focuses on the structural features and immunopathology of multiple sclerosis (MS), in particular on the mechanisms of degeneration (myelin, oligodendrocytes, axons neurons) and regeneration, namely remyelination in MS lesions. He has been in his current role at the University Medical Centre Göttingen, Germany since 2002, and is also on the SABs of the Cambridge Centre for Myelin Repair, University of Cambridge, UK, the Edinburgh Centre for Translational Research, UK, and The Myelin Project. 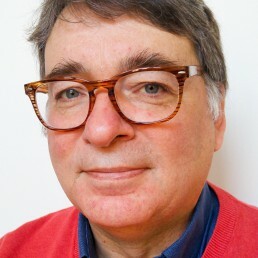 He has received various awards for his contributions to research in MS, including the Langheinrich Award for Multiple Sclerosis Research (2000), the Hans Heinrich Georg Queckenstedt Award for Multiple Sclerosis Research (2002), the HG Mertens Prize for Innovative Research in Neurology (2008), and the Kohn Memorial Lecture Prize from the British Society of Toxicological Pathology (2011). Giancarlo Comi brings world-renowned expertise in multiple sclerosis. In addition to his role at Vita-Salute San Raffaele University, he is President of the European Charcot Foundation (ECF), a member of the Board of Administration of the Italian Multiple Sclerosis Foundation and of the Scientific Committee of Associazione Italiana Sclerosi Multipla, Co-Chair of the Scientific Steering Committee of the Progressive MS Alliance, and a fellow of the European Academy of Neurology (EAN). In recent years, he has been awarded honorary memberships of the Russian Neurological Academic Society, the European Committee for Treatment and Research in Multiple Sclerosis (ECTRIMS), the European Neurological Society (ENS) and the Sociedad Espanola de Neurologia. Robin Franklin is currently Professor of Stem Cell Medicine at the University’s Clinical School, having previously been Professor of Neuroscience in the University’s School of Biology. He obtained his undergraduate degrees in Physiology and Veterinary Medicine at the University of London and his PhD in Neuroscience at the University of Cambridge. His main research questions are how stem cells in the adult brain respond to injury, how do they contribute to regeneration, and how are they are affected by ageing? He has published over 260 peer-reviewed papers and is internationally recognized as a leader and pioneer in the field of remyelination biology. He was the recipient of the 2017 Barancik International Prize for Research Innovation and is a Fellow of the Academy of Medical Sciences. Daguang Wang combines expertise in neuroscience discovery with board-level leadership experience. Before moving into venture investment, he spent more than 20 years in the biotech and pharmaceutical industry with Amgen, Memory Pharmaceuticals, PsychoGenics, EMD Serono and Sanofi. Dr. Wang started his career as an R&D scientist in neuroscience, before moving to business development and external innovation with a focus on neuroscience, multiple sclerosis and rare diseases. He was global lead of business development and external innovation for neuroscience at Sanofi before joining Yonjin Capital in 2018. He serves on the boards of multiple start-up biotech companies. © 2019 Rewind Therapeutics, all rights reserved. Site by Alex.